Knit By God's Hand: Word Up! If you were a TRUE child of the 80's, then just reading that title would make you instantly start thinking of Cameo ... & if you don't know who Cameo is, well, I can't help that you missed out being a kid in the greatest time ever. OK - maybe the 80's were a little weird too... moving on. I was able to talk to the youth kiddos this past Sunday about words & the power they hold. Oh mercy. Do they ever. Something so simple - something we do every day - something we give not much though about. Words that come out of our mouth. The things they can do. They stick to us... either way. I saw a little video that had the words someone was calling someone else & they were just landing on the person & sticking all over them. The painful words, like stupid, dumb, ugly - those stuck, but with more of a punch. It really does sort of work like that. I can remember being these kids age. Even though it was so long ago. I was at a party with my 1st Stephanie, meeting up with other friends & at the party was my 'boyfriend' - I put that in air quotes because that term is so funny to me when you are a teenager. Bygones. A whole other post. So we've been at this persons house for most of the night, we played games, card games, board games, charade sorts of games - it was a great night. Now, Steph & I never drank at these parties - we were usually the only ones but everyone just excepted that's how we were, who we were & they were fine with it. But everyone else was sort of dabbling into drinks & we're all sitting in a room & someone, right in front of everyone said to my boyfriend, "You know, you have a really cool girlfriend." The next words were, "It's a shame she's so fat"
I remember the world just stopping. I ran out to find Stephanie & just asked her to get me out of there. She had no idea what was going on but she grabbed her keys & we left, all the while me trying to explain what happened in the middle of gasping breaths. You can imagine how dramatic it was - I was a teenager. Teenagers are dramatic by nature. I can still remember every feeling from that day. I can also remember another time, not too many years ago, & I was singing... only to have someone comment that I wasn't really that great at singing & should probably keep it down. Talk about a punch again. I know I'm no Mariah Carey but I am one of those people who sings all the time. I can't help it that I want my life to be a real Broadway musical all the time. But I can still remember someone saying that to me, so now, when I sing, I'm careful whose around. I'm careful of how loud I sing. I'm remember those words spoken to me & they are still stuck to me. I'm sure you can think of words that have been spoken to you that just cling to you every day. & man, kids today use words I won't even get into. Words that don't even punch, but words that gut. Add in the power of social media & those words are even louder... get people to join in & agree with those words by a "like" or a comment & you might as well just give it up. 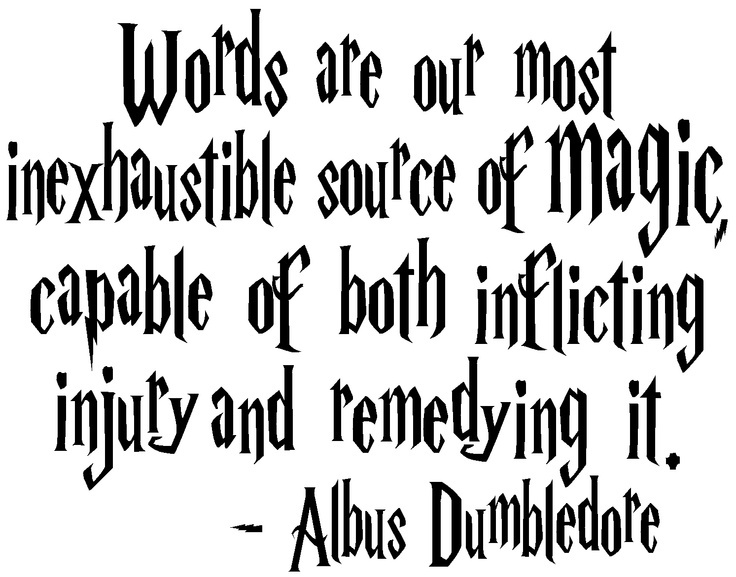 A whole other level of the power of words. aware... I want to challenge myself to that. I want to challenge you. 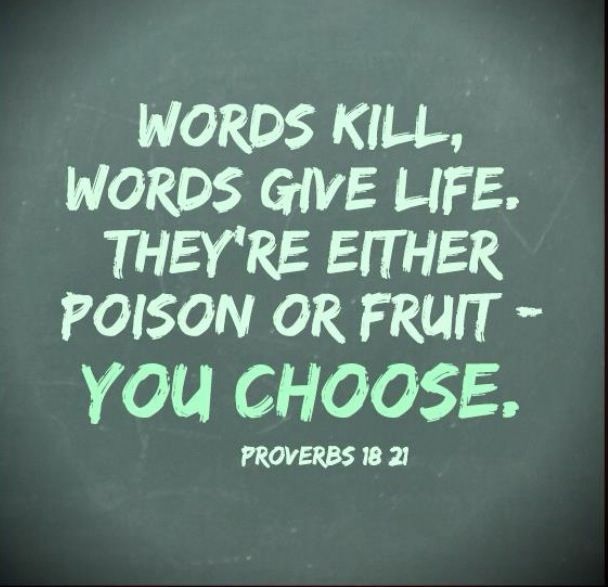 What kind of words are coming out of your mouth on a usual basis? Or is it sort of a jab? A little quiet dig at someone? For those 2 examples of harsh words that stuck to me, I have examples of words that stick to me that also makes me smile. Words that someone told me they were proud of me. I want more words to stick to me like that. I want to make those kinds of words stick to others. These are "good words", my friend. Something we all need to remember. Goodness...this is so true. My senior year of high school, we had just gotten our acceptance letters to college and living in a small town, everyone pretty much goes to Clemson. An acquaintance came up and asked if I had gotten in and when I replied with a happy "Yes!" she said "How did you get in and I didn't?". I don't think she meant it as mean as it sounded but I will never forget how dumb I felt in that moment and afraid that my peers thought I was stupid. I'm so thankful social media wasn't really a thing when I was in high school and afraid to raise children where so much can be said from behind a computer screen. Truth. 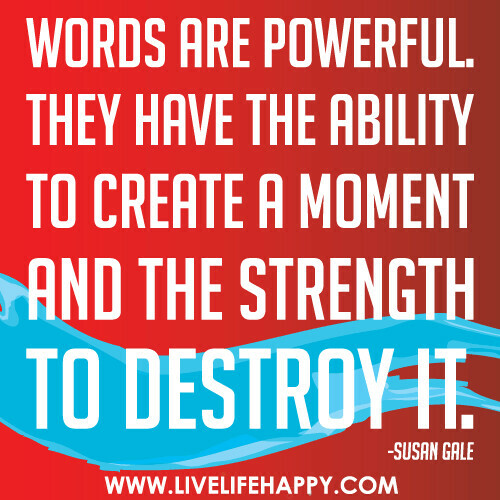 And the first thing that came to my mind was Hawk Nelson's song "Words".